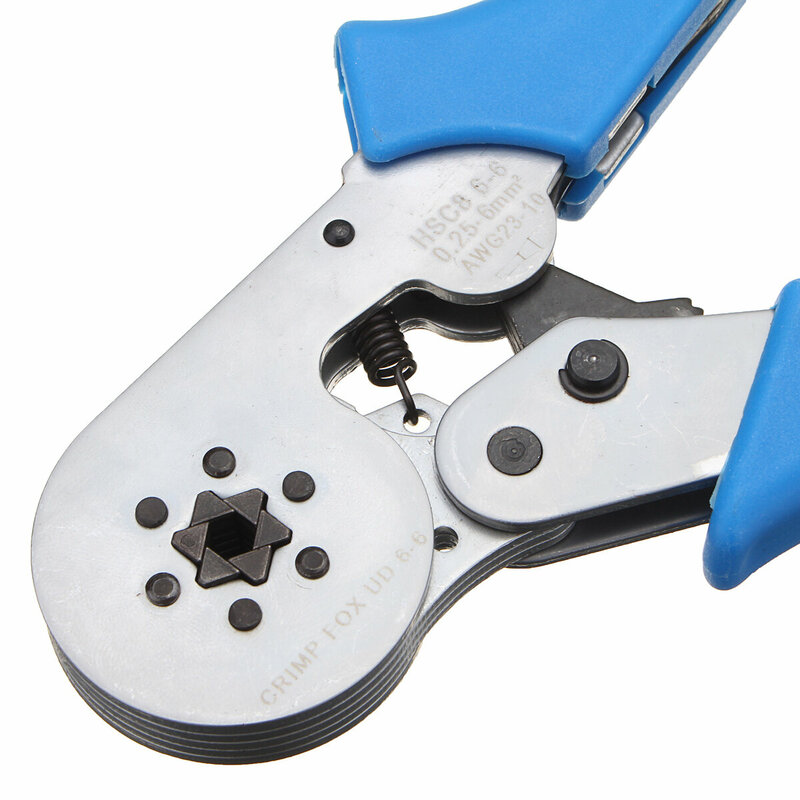 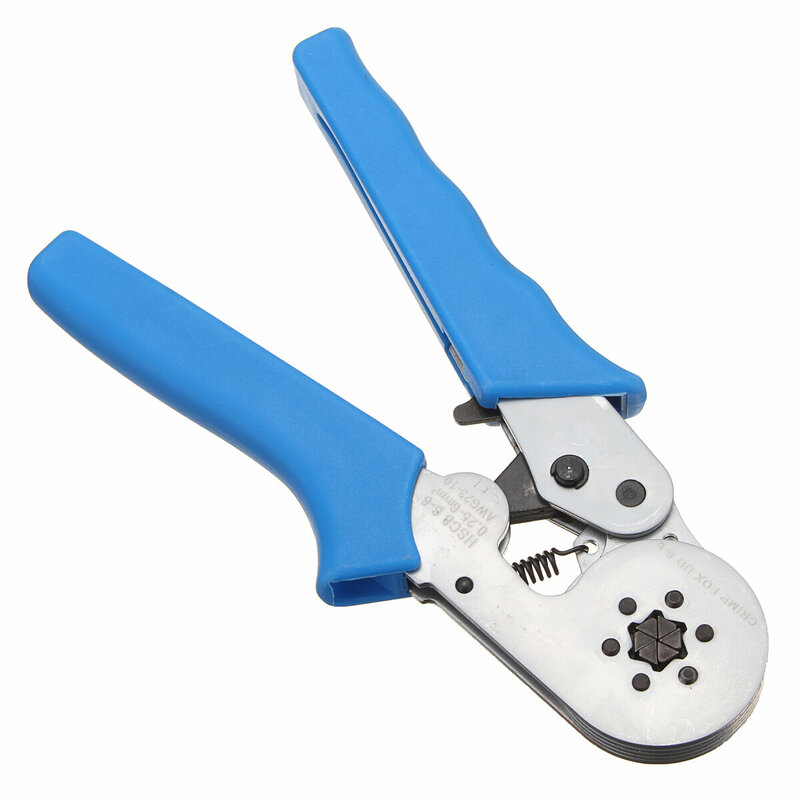 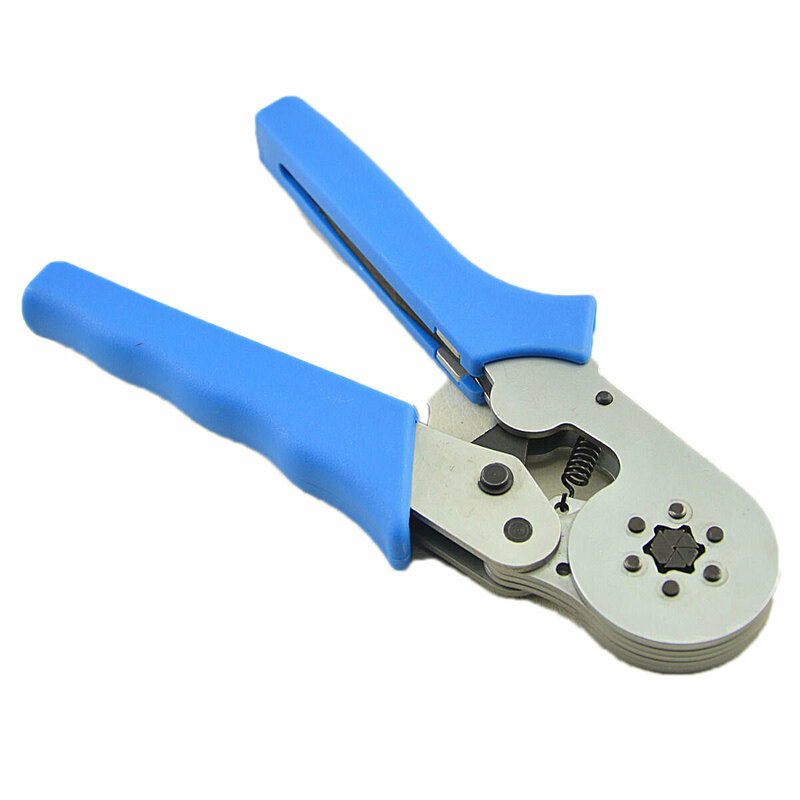 This is HSC8 6-6 Self-adjusting Crimping Plier. 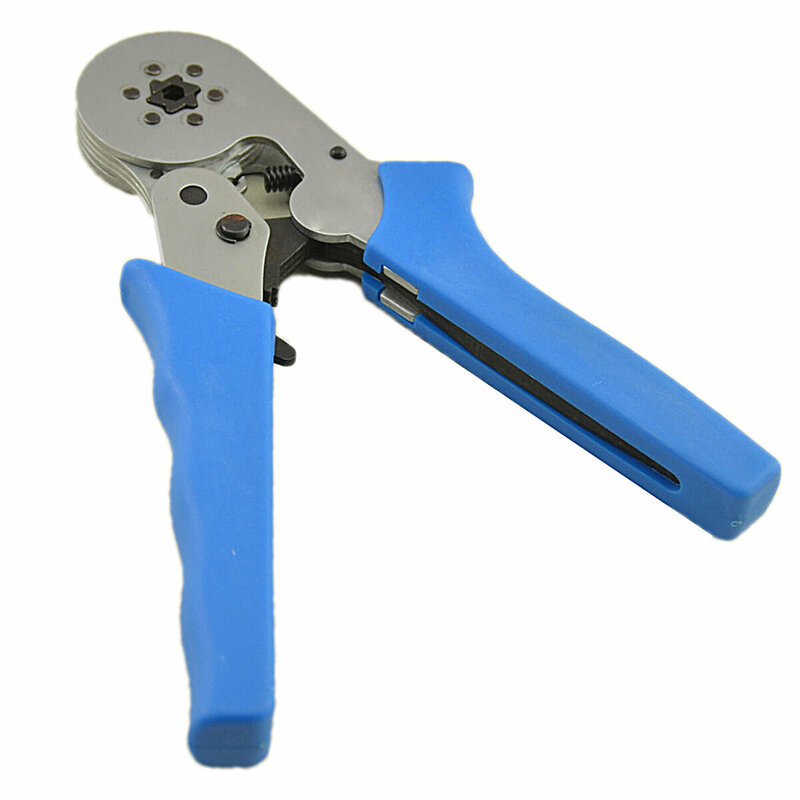 It is applicable for tubular bare terminals and pre-insulated terminals that non-welded and conform standard electrical connection. 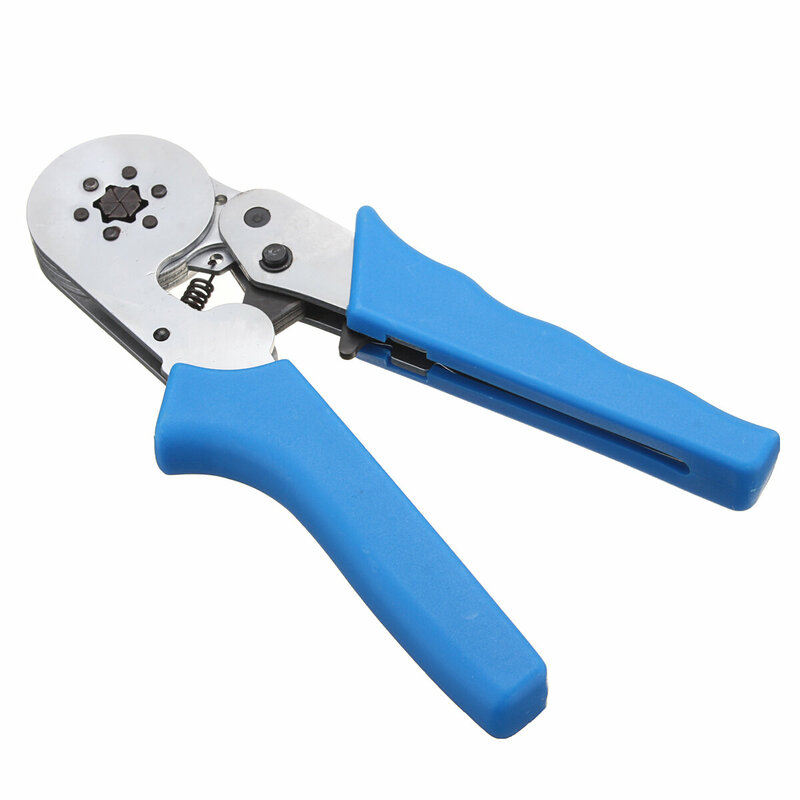 It is convenient and simple to use, you just need to put the terminal into the crimping plier laterally, and squeeze the handles, now you're finished. 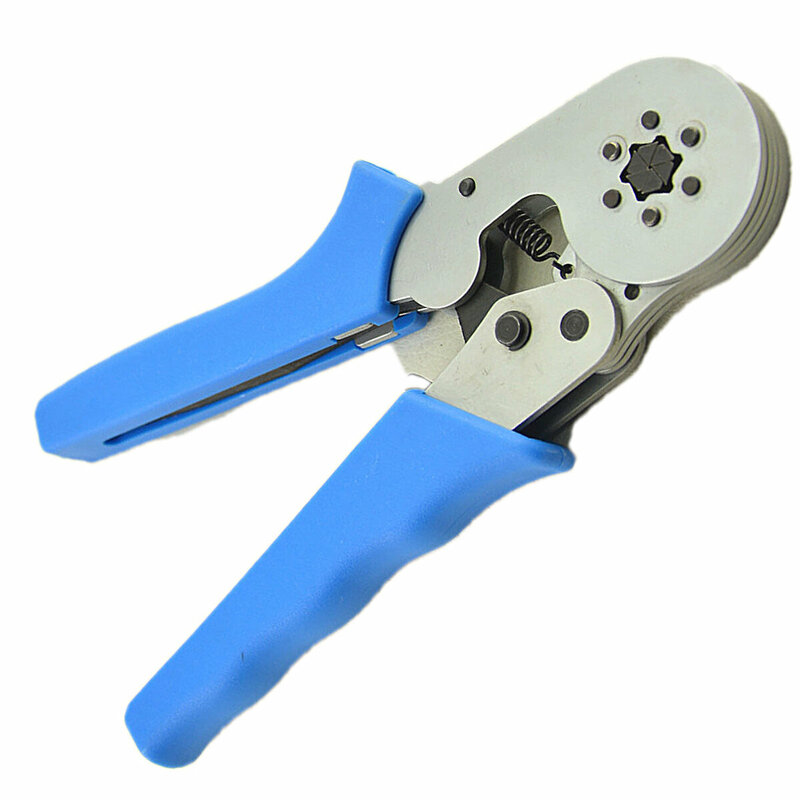 The demanded pressing force must be reached before the brake unit automatically release the jaw of the plier, thus high quality crimping standard could be ensured during repeatedly crimping. 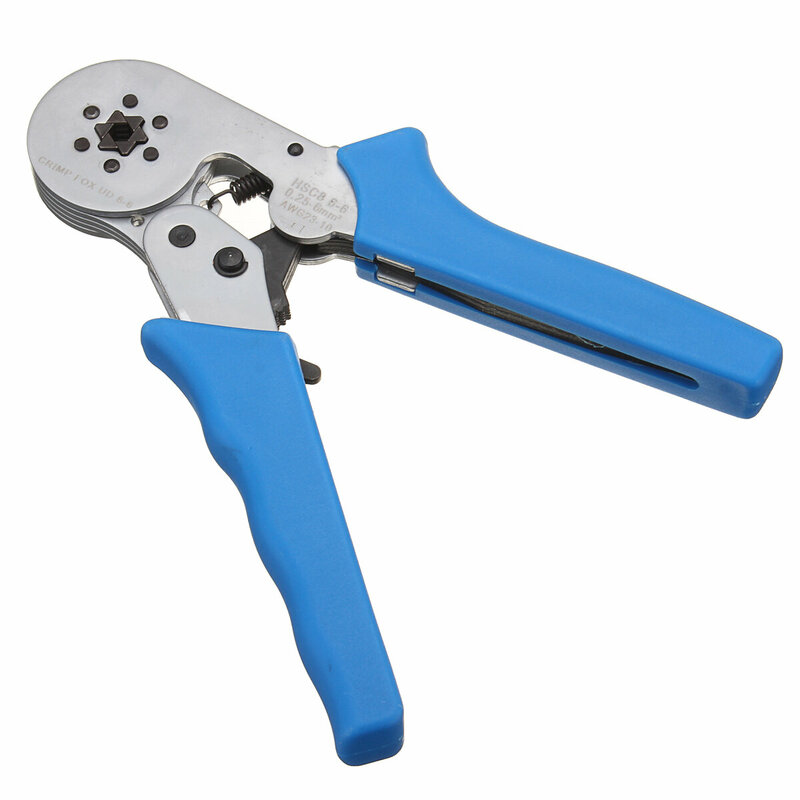 Perfect grip position, compact body and simple structure, ergonomic handle. 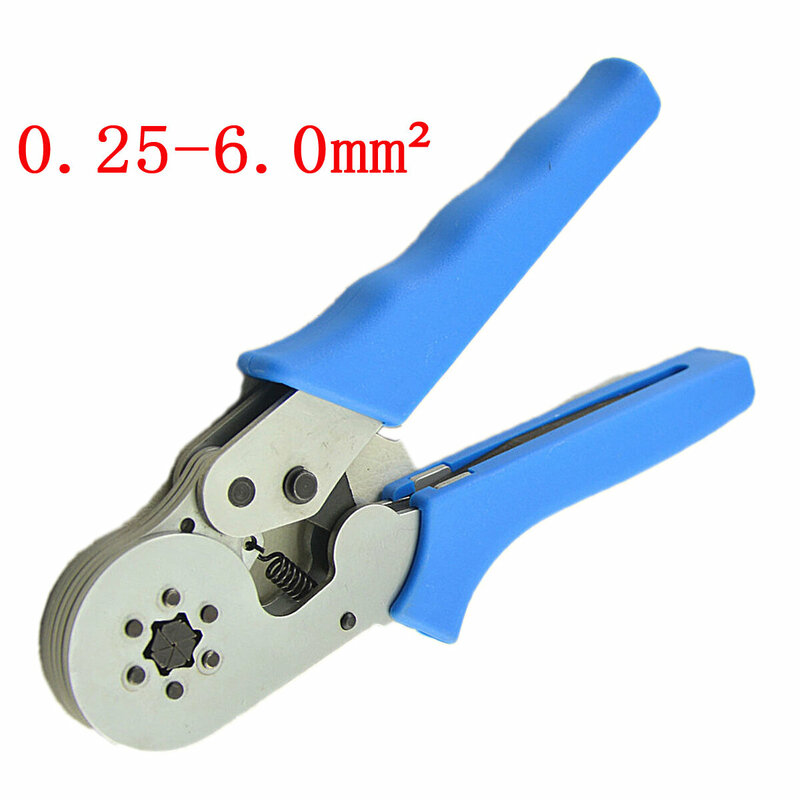 All these are designed to reduce operation fatigue level. 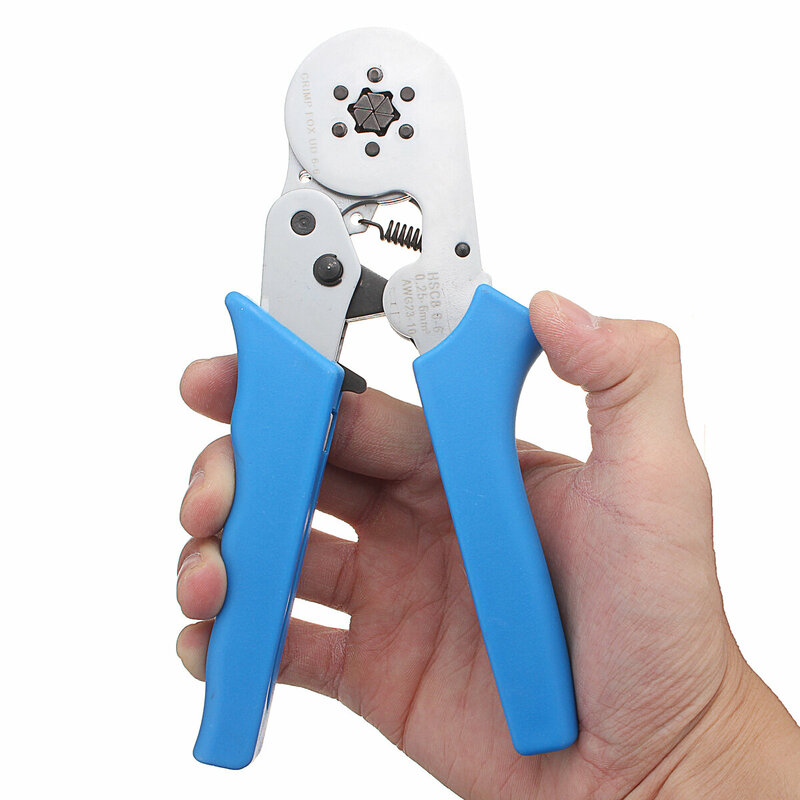 For: Adventure, Camping, Car, Climbing, Daily Use, Experiment, Hiking, Home use, Motorcycle.